TASHKENT STATE AGRAR UNIVERSITY - Nukus branch of the Tashkent State Agrarian University held an intellectual competition "The best reader team"
The Nukus branch of the Tashkent State Agrarian University held an intellectual competition "The best reader team". The competition "Bilimdonlar" of Agrobiology Faculty and "Zukkolar" team of "Agroengineering and Zootechnics" faculty competed. The jury was assessed by the jury as part of the evaluation criteria and evaluation criteria set out in the Charter. According to the results of the Nukus branch of the competition, the team "Zukkolar" of the "Agroengineering and Zootechnics" faculty won. At the same time, the team of "Zukkolar" won a ticket to the "Rector's Cup" of Tashkent State Agrarian University. 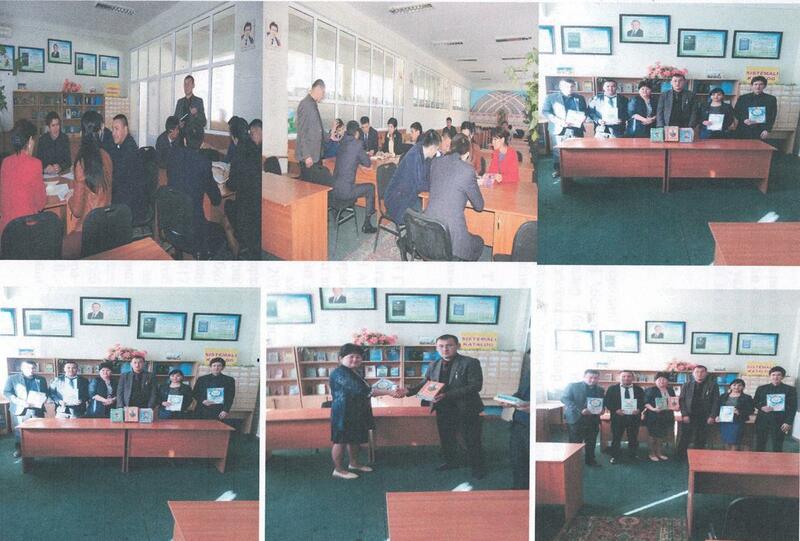 Winners were awarded diplomas and valuable prizes by the leadership of Nukus branch. Also active participants in the nomination "The most intelligent reader", "The most active reader", "The most talented reader", "The most creative reader" were awarded and the prizes were awarded by the diplomas and trade union. For information: From the Tashkent State Agrarian University to the final stage of the "Rector's Cup" team "Shijoat" of the Faculty of Silkworming and Breeding.